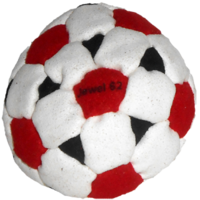 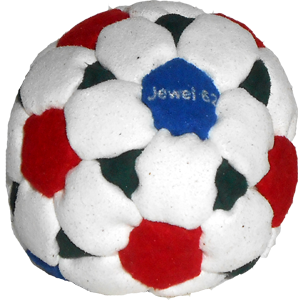 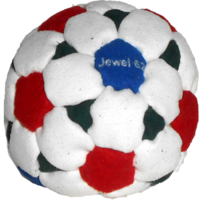 The Jewel is our top of the line multi-facet footbag. 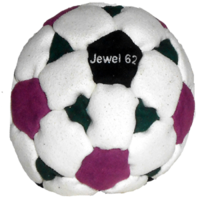 Combining truncated hexagons, truncated octagons and pentagons, sixty-two handsewn pieces together create one of the roundest footbags available anywhere. 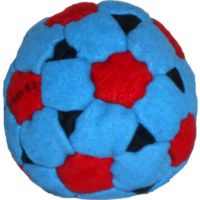 We could design a hacky sack with more geometry but why bother, we know a gem when we see one. 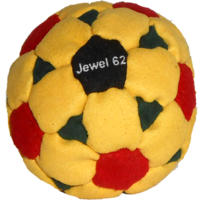 So will you.